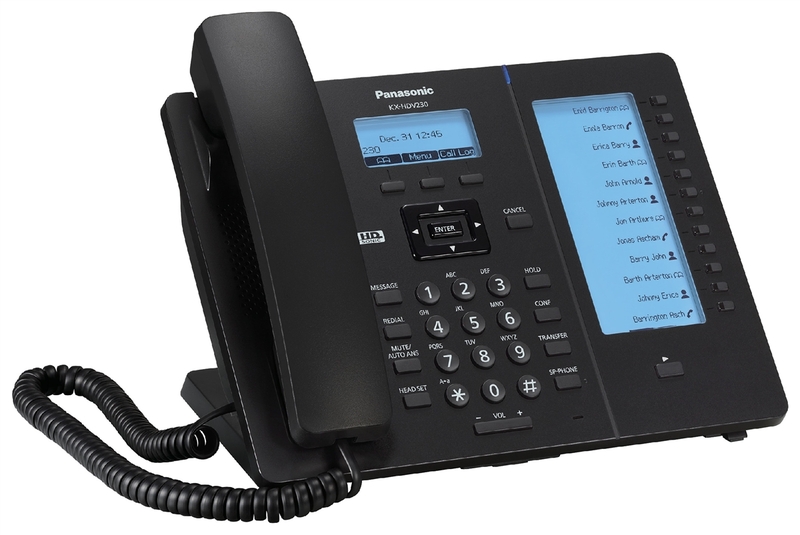 The Panasonic KX-HDV230 HD IP desk phone is the mid range model within Panasonic's HDV series. This phone is designed to bring you exceptional versatility and usability at an economical price. 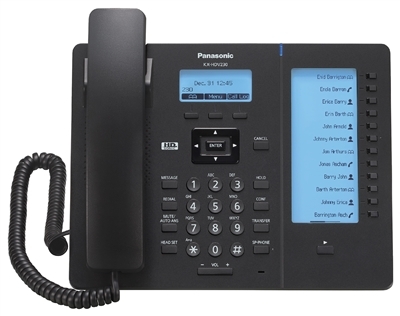 This business class phone is available in black and white to suit your working environment and personal preference. 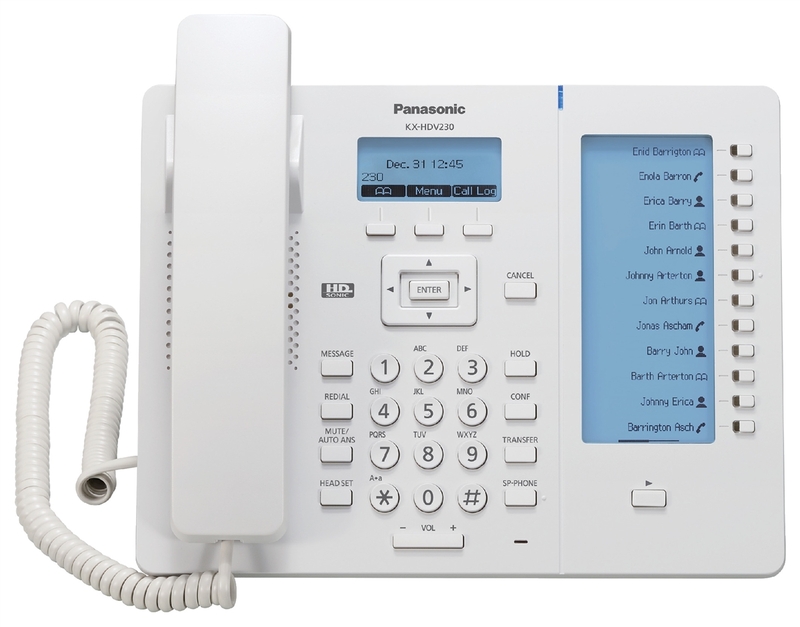 The HDV230 allows for 6 SIP accounts and comes with 12 programmable memory keys (two page view for a total of 24 functions) these keys are paired with a large LCD display for clear labelling of the functions. In addition to this, up to 5 KX-HDV20 expansion modules KX-HDV20 can be connected allowing up to 224 different functions. With Upstream service phone will be pre-configured with account details and your preferred choice of settings prior to despatch.